Since 1882, Moose Pharmacy has put our community first by turning patients into family from generation to generation. 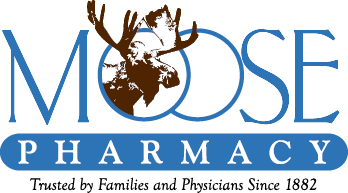 The Moose Pharmacy focus is on keeping our patients healthy, promoting healthy lifestyles, and giving our patients the best treatment options. Alliance, we offer a drug take-back program, where we can properly dispose of unwanted medications for the safety of our patients and community. Moose Pharmacy doesn’t just care about the health of our community we also provide support in many other ways. We support local youth activities such as the Boy Scouts of America and various local sports teams to help assure that our children stay active by doing what they love. Moose Pharmacy also plays a role in local government by being a part of the planning and zoning commission of Mount Pleasant. Salisbury location, plays an active role in Kiwanis of Salisbury. The staff at Moose Pharmacy is always volunteering in our community. Look for us! You may even catch us in holiday celebrations from the 4th of July festivals to local Christmas parades.